Spellblasters is a quick, action-packed card game for 2-4 players where the goal is to be the last wizard standing in a free-for-all magical duel! The game is currently in an early testing phase but that hasn’t stopped me from producing the following artwork for some of the spell-slinging characters. Not only has this been a great opportunity to be the artist to one of my favourite themes, but to also take on the game designer role and see what it’s like to slowly develop a game that’s accessible and fun. 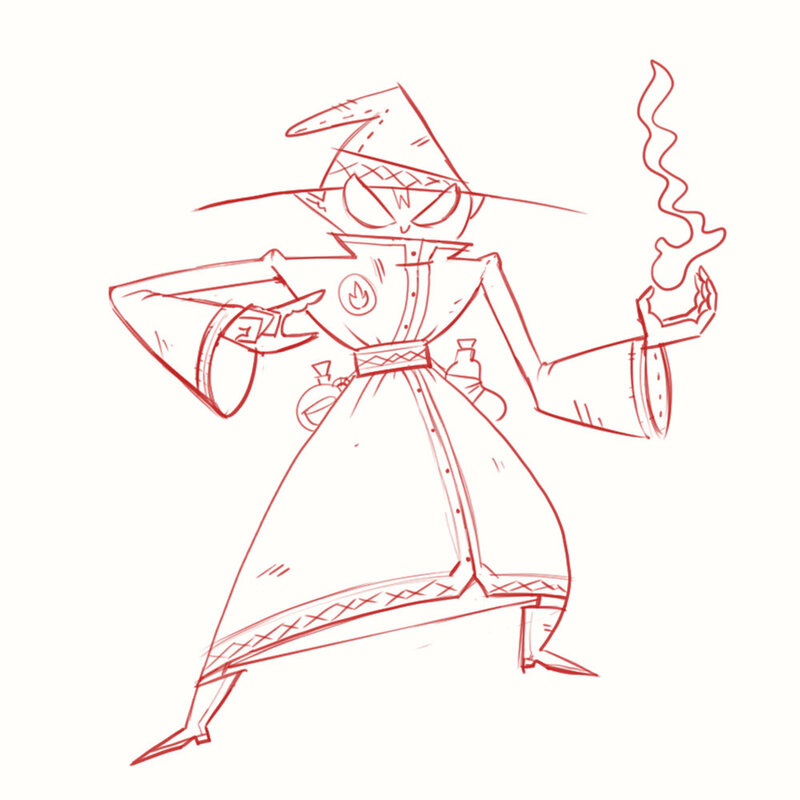 In Spellblasters you take on the role of one of the following wizards—each with a unique play style and move list. Through collecting and combining different elements, you must cast spells to protect yourself against and eliminate the other wizards in the fray. Here you can see the process from sketch, to basic colours and lines, to final artwork. For the curious, done in Photoshop. Sometimes your work demands of you to pose with a broom in your living room. You cherish those moments. While there is nothing pretty about this, there’s something really satisfying about seeing prototypes for games. So whether these photos are for you or myself, I’m not too sure. As those of you who are familiar with game design know—this will probably all change. Each wizard’s spell list and the elements you’ll need to cast it. Are those pieces of paper shoved into sleeves with playing cards? You’ll be needing a lot of these if you don’t want to die.